The National Marine Manufacturers Association said it is encouraged by recent developments in the trade war but expects the challenges facing manufacturers to last into 2019. The signing of the United States-Mexico-Canada Agreement was welcomed, but the pact does not eliminate retaliatory tariffs imposed on U.S.-built boats. “While the official signing of USMCA is encouraging, the challenges created by the aluminum and steel tariffs and subsequent retaliation far outweigh our enthusiasm,” said NMMA president Thom Dammrich and NMMA Canada president Sara Anghel in a joint statement. “Negotiators should capitalize on the goodwill created by this agreement and immediately remove Section 232 tariffs and retaliatory measures. Thousands of businesses and jobs in Canada, Mexico and the U.S. are counting on it,” they said. Canadian and Mexican retaliatory tariffs — coupled with those levied by the European Union — have all but stopped U.S. boat exports to markets that account for nearly 70 percent of the U.S. industry’s international sales. NMMA fears the industry will face “irreparable harm” if there is not a solution soon. In a positive development, President Trump and Chinese President Xi Jinping announced on Dec. 1 a temporary ceasefire in the trade war with the goal of striking a negotiated agreement by March 1, 2019. As part of the deal, Trump agreed not to increase Section 301 tariffs on $200 billion worth of Chinese goods from 10 to 25 percent on Jan. 1. The conflict between China and the United States has hit the marine industry hard, with more than 350 products and boats being targeted, according to NMMA. NMMA expressed optimism that the detente will lead to the removal of all tariffs on these items and free and fair trade with China. Simultaneously, NMMA is urging the U.S. government to establish an exclusion process for items on List 3 — a system that has only been implemented for the first two lists. “Perhaps the most concerning news came last Friday when the U.S. International Trade Commission issued its final decision in the anti-dumping and countervailing duty investigations into common alloy aluminum sheet from China, which affirmed the Trump administration’s 96.3 percent to 176.2 percent duties on the material,” wrote the NMMA in its Currents newsletter. Boatbuilders are seeing a 30 to 40 percent price increase for aluminum sheet. “The ITC’s decision is troubling news for marine manufacturers and the people they employ. 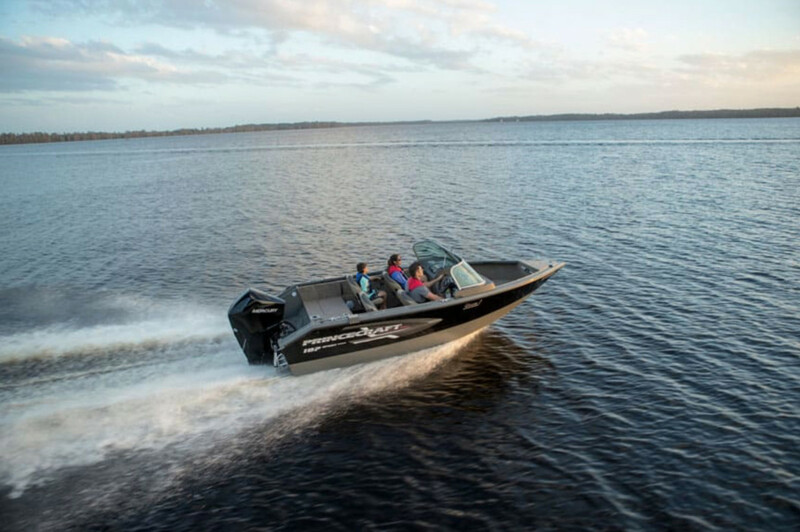 Aluminum boats represent 44 percent of new boats sold each year and account for approximately 22,000 American jobs,” Dammrich said. The ITC also issued a negative critical circumstances decision, meaning imports of aluminum sheet from China will not be subject to retroactive anti-dumping or countervailing duties. That means importers with entries during the 90-day retroactive periods from exporters subject to critical circumstances will have their liability for any duties during those time periods released. This will not happen, however, until the U.S. Department of Commerce instructs Customs and Border Patrol to release the funds.